The audience of ProudGreenBuilding.com, of which you are a welcomed member, is made up of professionals, such as builders, remodelers, architects, specifiers, landscape architects, designers, other industry pros and owners who are interested in learning about and integrating high performance, sustainable, and “green” strategies, systems and products to their buildings, both new and remodeled. 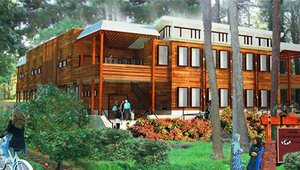 The mission of ProudGreenBuilding.com is to accelerate the adoption of high-performance strategies, systems and products for all types of buildings and multifamily homes. ProudGreenBuilding.com applies its unique and advanced digital communication experience and expertise to be a credible and useful voice among all people, associations and companies that are interested in high-performance buildings. Inspire the creation of homes and buildings that honor the human experience. With a passion for sustainability, Rawson is the co-founder of Serenbe, Serenbe Real Estate and Serenbe Farms, all associated with a 1,000 plus acre, residential and light commercial buildings community located in the Atlanta, Georgia area. Steve Arel has more than 25 years’ experience as a writer and editor, having covered everything from business to health care to government. He has worked for daily newspapers, military public affairs and corporate communications. Steve possesses an uncanny ability to distill the essence of a story and convey it with effectiveness. Steve can be reached via email: steve.arel@proudgreenbuilding.com. If you are passionate about being involved with work that makes a big positive difference in the world and you're committed to excellence and being the best, please send your resume to bob@sustainablecommunitymedia.com because we'd love to hear from you.